Elu has been invited to participate in the Music for Peace CD compilation and tour in Asia. Elu and Eroica’s musical talent has been invited to play in Rome, Los Angeles, Boston and San Francisco. No musical dates have yet been set. 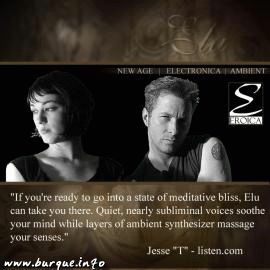 Elu is currently in production of their 4th release, which is expected out later this year. This band was added to our database on July 18, 2003, and the band's information was last updated 13 years ago. Elu is responsible for keeping this band's information up to date. This page has been viewed 10550 time(s). Play all of Elu's songs. A new song from Elu's upcoming release. "won't last long [burque luv five left]"
© copyright 1993-2007 by fearstudios.com ( 186324476+166ms ). All Rights Reserved. Report a bug or make a suggestion.